Waspada Terhadap Penipuan yang mengatasnamakan PT Wijaya Karya (Persero) Tbk. WIKA tidak pernah melakukan kerjasama dengan instansi/perorangan manapun yang meminta peserta calon pegawai untuk membayar biaya apapun untuk kegiatan rekrutmen. WIKA tidak bertanggungjawab atas kerugian materil yang diakibatkan dari penipuan tersebut. Informasi lebih lanjut dapat menghubungi 021 80679200 ext. 50648. Biro Rekrutmen dan Pengharkatan - Departemen Human Capital WIKA. Drs. Freddy R. Saragih, M.P.Acc. Danu Prijambodo, S.T., Master Medea. 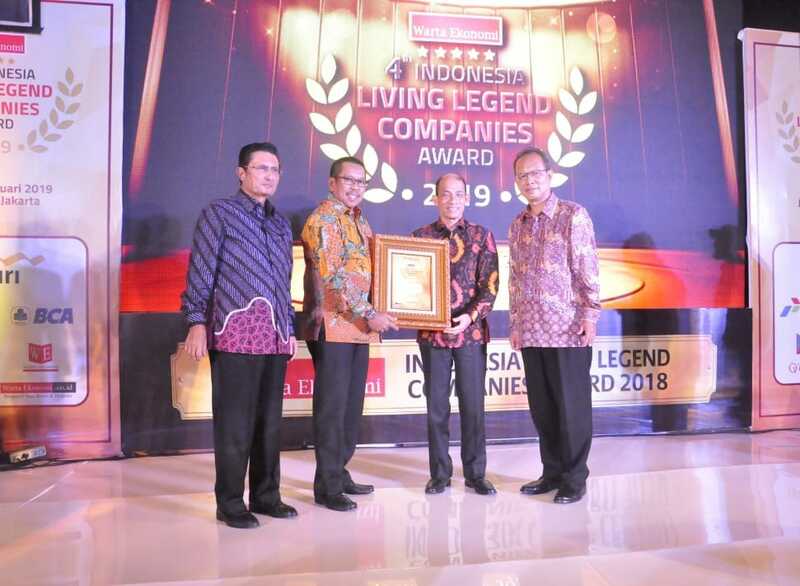 Located at Thamrin Nine Ballroom, Jakarta, Friday (18/1) night, WIKA was awarded as Living Legend Company: Leading in Pre-cast Concrete Industry which was held by the First Economic Magazine in Indonesia, Warta Ekonomi. The award was given by the Deputy Minister of ESDM, Archandra Tahar to the Director of Operations III of the Company, Destiawan Soewardjono. Received the Living Legend Companies award: Leading in Pre-cast Concrete Industry, WIKA explained by Destiawan Soewardjono, Director of Operations III WIKA could not be separated from the process of adaptation, innovation, and connection that the Company carried out in carrying out its activities since 1960 ago. WIKA has changed considerably, from the beginning, which was only an electric and water pipe installation company, has now transformed into an EPC company and integrated investment. PT WIJAYA KARYA (Persero) Tbk. © 2019 PT WIJAYA KARYA (Persero) Tbk. All Rights Reserved.